It seems that the liver and the hippocampus (the memory center in the brain), share a craving for a certain protein called PPARalpha. The liver uses PPARalpha to burn belly fat; the hippocampus uses PPARalpha to process memory. In people with a large amount of belly fat, the liver needs to work overtime to metabolize the fat, and uses up all the PPARalpha — first depleting local stores and then raiding the rest of the body, including the brain, according to the new study. The process essentially starves the hippocampus of PPARalpha, thus hindering memory and learning, researchers at Rush University Medical Center in Chicago. In another study, researchers at Boston University School of Medicine found that the greater the amount of belly fat, the greater the brain shrinkage in old age. The surprising discovery in the new study is that the hippocampus uses PPARalpha to process memory and learning, and that this is a possible reason for the connection between belly fat and dementia and/or memory loss. Rush University researchers, led by neurological sciences professor Kalipada Pahan, raised mice that were deficient in PPARalpha. Some mice had normal PPARalpha in the liver but depleted PPARalpha in the brain, and had poor memory and learning abilities. Others had normal PPARalpha in the brain but not the liver, and showed normal memory, as expected. When the researchers injected PPARalpha into the hippocampus of PPARalpha-deficient mice, their learning and memory improved, Pahan said. 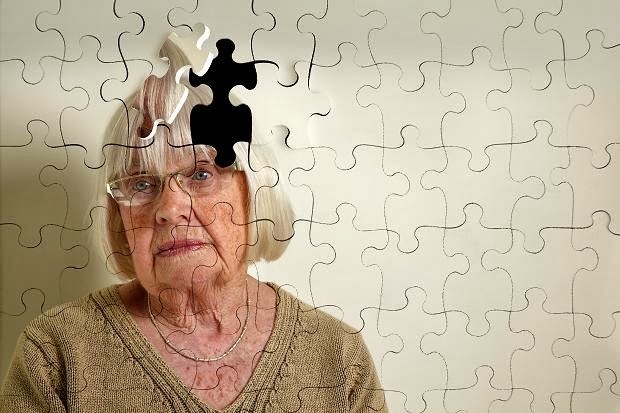 "Further research must be conducted to see how we could potentially maintain normal PPARalpha in the [human] brain in order to be resistant to memory loss," PPARalpha thus provides a new avenue to explore in searching for a treatment or cure for Alzheimer's disease, dementia, and related memory-loss and cognition problems, Pahan said.